This lecture is mainly for self study, since the blog posts and videos can take a long while to study. Yet, Dr Blake would like to spend the next 2 hours giving the students a glance at the ever-changing topic. Dr Blake will skip some of the videos during class time for time concerns. Explain the 3 types of socks used in a podiatry practice (athletic, compression, speciality). 1. 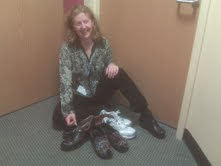 Introduction---Shoes and socks are some of the great Podiatry tools that are used in helping patients. The individualization of these factors can greatly benefit your patients. To start out, let us look at a video of the anatomy of the running shoe. Some of the red questions will be used in developing your midterm quizzes. Some of the links are for self study alone. What can go wrong with flex grooves in the wrong place? What is more dense--outer-sole or mid-sole? And now, even more on the anatomy of the shoe. What popular shoe company has a narrow last? What part of the shoe is the Vamp? Where is the saddle of the shoe? How many irons equal one inch? What is a toe spring? What are 3 common tests done to shoes? I think another crucial TEAM effort is the marriage of podiatry and the shoe store. In San Francisco, I am lucky to have the extraordinary help in fitting from 3 stores: Shoes and Feet, Fleet Feet, and On The Run. I have also heard wonderful recommendations on A Runner's Mind and See Jane Run. However, it can get a little too easy just recommending a store, when the doctor should also be giving some direction. There has been an explosion in the world of socks and shoes. Podiatrists need to have several recommendations for their patients since they get incredible benefit from this knowledge. What socks advertised have Merino wool? What socks have left and right requirements? What socks have embedded arch support (name 3)? What socks from Heat Holders are 7x warmer than most? What socks have silver embedded (for anti-bacterial)? What are the two best wools for Hiking? What is the sock with the 5 separate toes? I love Juzo for the thigh high and open toe. Juzo comes 12-20 mmHg pressure in OTC, but also medical grade (20-30 and 30-40). This following video talks about putting on support hose. What is the pressure in typical medical grade support hose? What is the Juzo slippee used for? Athletes are using compression socks to their advantage. Check out 110%. Why are compression and ice used together in controlling swelling? See the nice video attached. What areas lose fat padding as we age? What is the name of 4 plantar fasciitis socks? What are 2 ways to stop heel slippage? What eyelet is skipped in power lacing? Why is Sole easier to work with then Superfeet? What can you do to make a full length lift more flexible? When designing lifts, why does Dr Blake prefer full length over heel lifts? H) What do we put into Shoes? I) How much do people's feet grow? What is the length change from 20 to 70 yo? 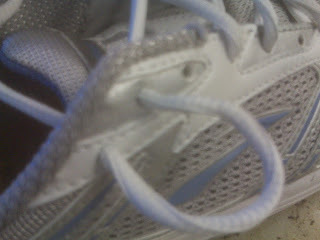 What are two other names for Power Lacing from the video? Buy with the socks you will be wearing. You should feel low in the shoe. If you wear orthotic devices, bring them to try. What are the 3 general types of running shoes? What has a straighter last--cushion or stability shoes? What are the 3 crucial components of the good basketball shoe mentioned in this video? What is the phrase "feeling low in the shoe"? What are 3 ballet shoe companies? As Podiatrists, we are interested in dress shoes with removable inserts to remove and put our orthotic devices. 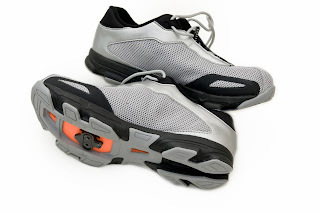 What are the 2 parts of a hiking shoe that helps in stability? What would have the longest cleats: Indoor or soft ground? What boot line is for narrow feet? What is the best time to fit a ski boot? When putting on a ski boot, what is buckled first? And finally, the last word on what is in!! What shoe line has the distinctive yellow stitching? What shoe line started mainly as a skate boarding shoe? What shoe line had the "Pump Shoe"? Dr Huppin discusses a simple, but very important, concept in arch height. I am amazed at how many times I find not correction in this area. However, it is not that simple, since many corrections for supination tend to correct laterally (outside of the foot) and not medially. You should never feel that the shoe and ortho combination makes you unstable to the outside. If your dealing with metatarsal or heel pain, you desperately need weight transfer to the arch. 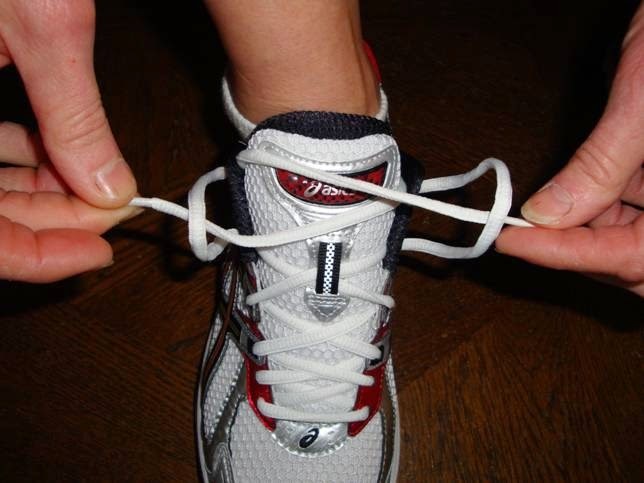 Very crucial say with plantar fasciitis or sesamoid injuries.